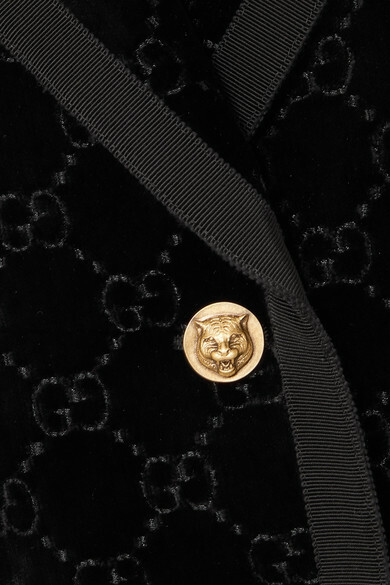 Alessandro Michele takes inspiration from Paris' legendary 'Le Palace' nightclub for Gucci's Spring '19 collection - the venue (where the show happened) was a hot spot for major and underground fashion names in the '70s and '80s. 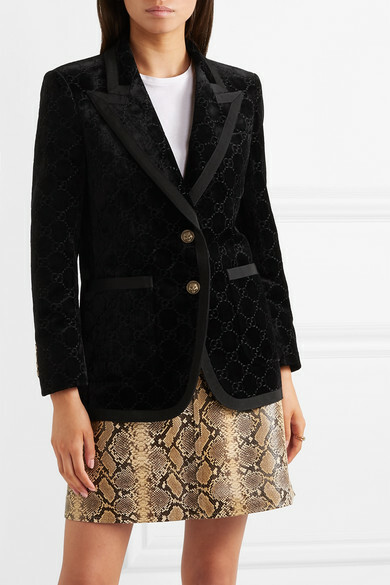 Tailored in Italy from plush black velvet, this slightly loose blazer is woven with silver 'GG' jacquard motifs. 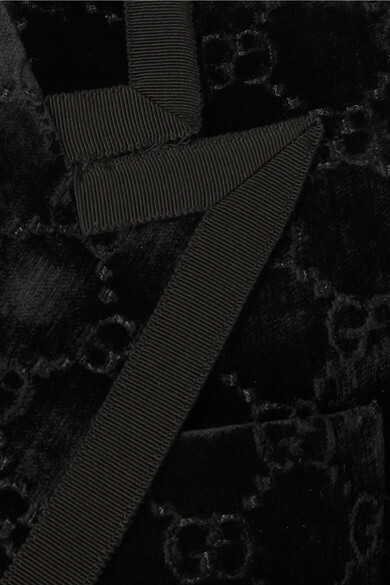 It's trimmed with thick grosgrain and fastens with the Creative Director's signature feline buttons. 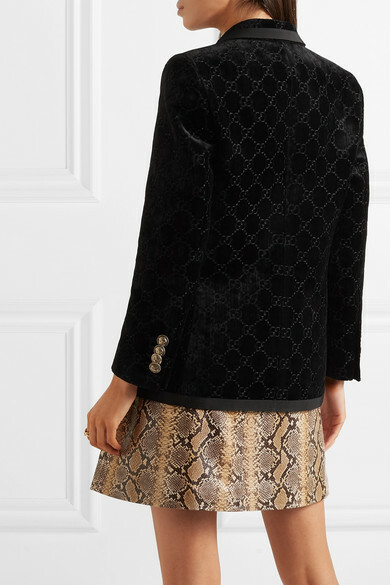 Shown here with: Prada T-shirt, SPRWMN Skirt, Gucci Shoulder bag, BY FAR Ankle boots, Paola Vilas Ring.